What’s the first thing that pops into your mind when you think of chili peppers? Probably how they add a lot of heat to a dish right? I know that’s what I always thought first. Chili peppers are actually so much more than just the heat. In fact, I’ve recently discovered that they have their own unique flavours as well and are much more multi-dimensional than just a hot spice to liven up your meals. 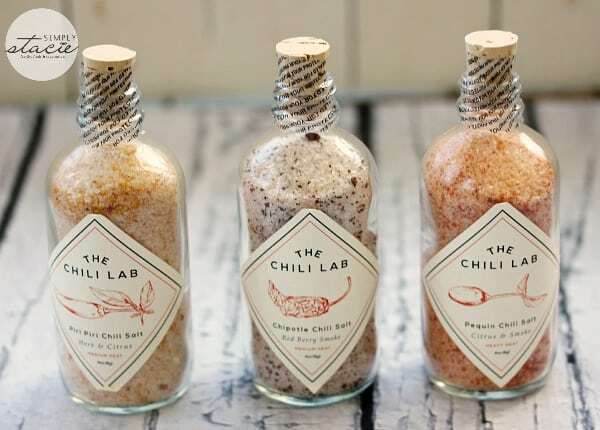 The Chili Lab founder, Thomas Kelly, was frustrated by the lack of products on the market that focus on the flavour of chili peppers and not just the heat. I can see his point because I’ve only ever seen products that boast about the “heat” and rarely even mention the flavour of the various chili peppers. 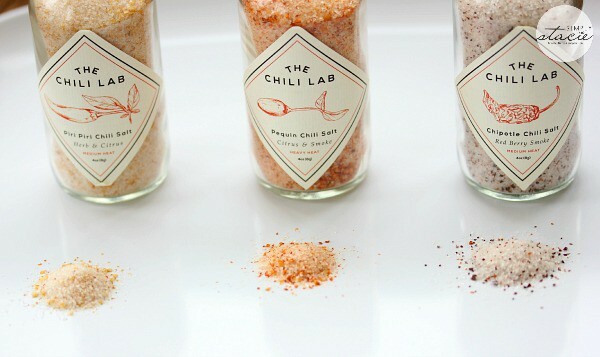 With his creation of a unique line of chili salts, The Chili Lab was born. The Chili Lab has 9 varieties of chili salts and many feature chili peppers that I’ve never experienced before. For instance, the piri piri chili pepper is from Africa and the pequin chili pepper grows wild in Mexico. Our little grocery store has a very limited selection of chili peppers so I was excited to have the opportunity to try some new flavours and probably would have never been able to try them if it weren’t for The Chili Lab. I always have fun experimenting when I’m cooking. It’s amazing how you can come up with some really delicious meals by taking a chance on some new flavours that you’ve never worked with before. The Chili Lab sent me The Essential Chili Salt Collection to try. It includes three flavours: Piri Piri Chili Salt, Chipotle Chili Salt and Pequin Chili Salt. Over the past couple weeks, I’ve been using all three flavours to season our savoury dishes. I plan to do lots of grilling this year once I get my new barbecue! Right now I’m using an indoor grill. First of all, aren’t these bottles pretty? They remind me a little of a “message in a bottle”, but with chili salt, of course! You can see the pop of colour in each one. They are all so different! 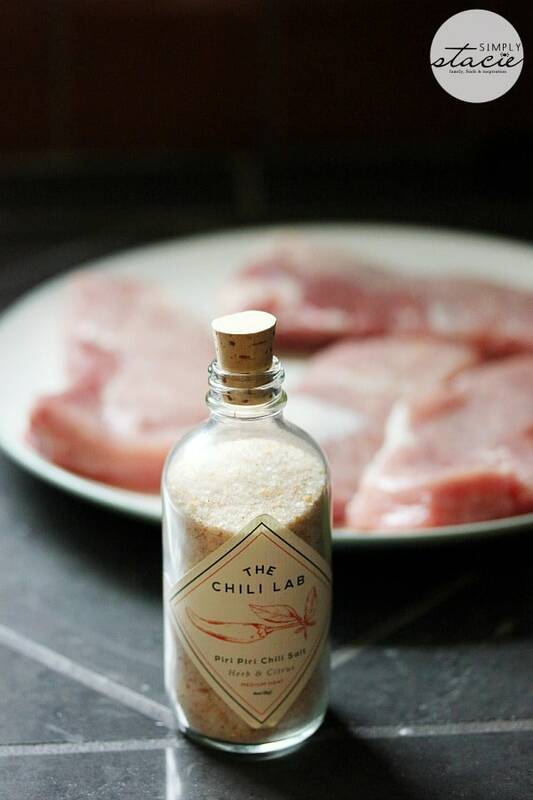 Piri Piri Chili Salt is made with sea salt and piri peppers from Africa. It has a subtle tangy, citrusy flavour. Tasting on its own, I first noticed the citrusy flavour and then it was backed by some heat. It’s delicious on fish, poultry and in stir-fry and quinoa dishes. I also used it to flavour some pork sirloin chops cooked on the grill. Scallops were on sale at our local grocery store so I bought a bunch to make kebabs. 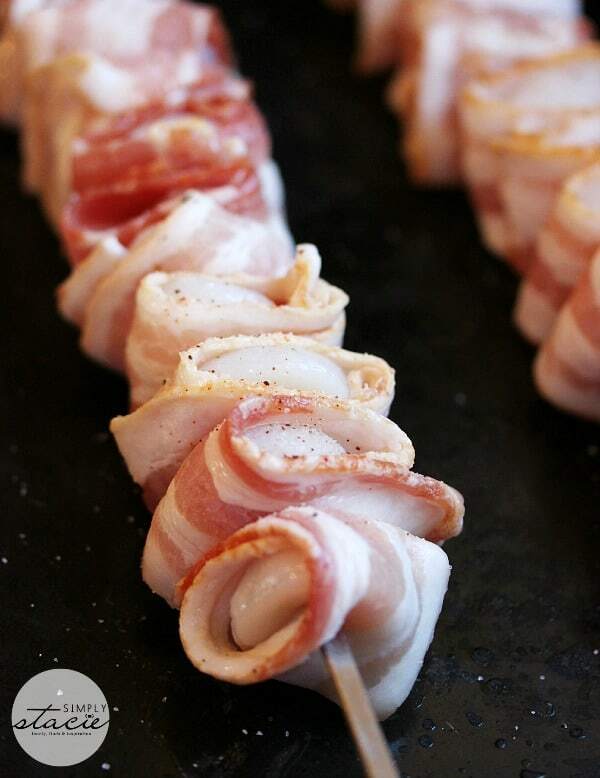 It was John who had the idea to make these bacon scallop kebabs. I seasoned them with Chipotle Chili Salt and nothing else. They turned out AMAZING. I’m definitely making this recipe again. 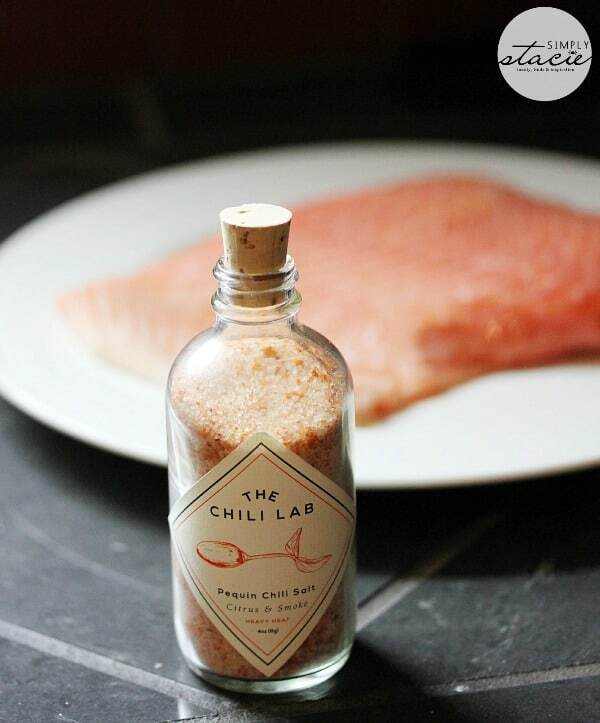 Typically, this chili salt is used on beef or game, but the beauty of using these chili salts is the experimentation! In this case, the recipe was seasoned to perfection. It adds a delicious smoky barbecue flavour. You can also use on beef and game as well as added to pasta, rice, pizza and soup. The Pequin Chili Salt is the hottest of the three I tried. I noticed it adds a smoky flavour to the food. You simply must try it on a salmon filet! It also can be used on poultry, quinoa, salads, stir-frys and more. 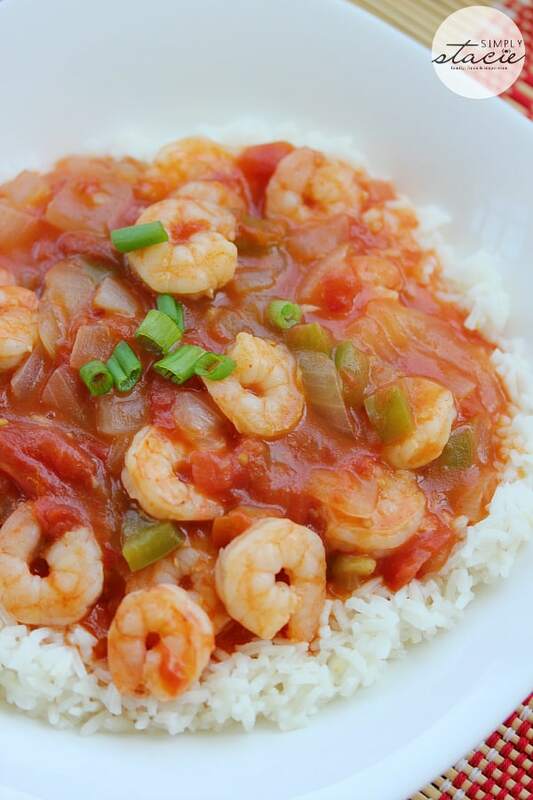 I added Pequin Chili Salt to my Shrimp Creole. In fact, I even salted the water for my rice with it. It really enhanced the flavours of the veggies and shrimp. For more recipe ideas, check out the Field Notes on The Chili Lab. I’d be interested in trying their other varieties of chili salts. I was impressed how they accentuate the flavours in the dishes we tried. 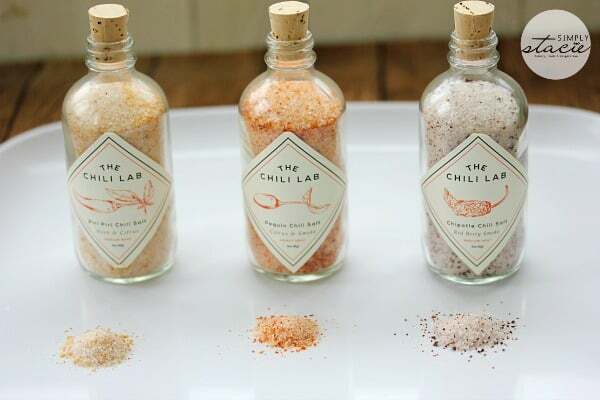 If you live in the NYC area, you can buy the chili salts at a bunch of local retailers. Otherwise, you can purchase them online directly from The Chili Lab. Individually, the chili salts retail for $12. The Essential Chili Salt Collection like I received is $32.40. I have a discount code to share though for a limited time! I would like to try the guajillo chili salt it sounds very good. Habanero Chili Salt sounds like it would be my favorite. I would like to try the Aji Amarillo Chili Salt. JUST IN TIME FOR GRILL SEASON…. I would like to try the chipotle chili salt but there are so many others too. All of the flavors sound amazing. Time for grilling! I like the Pasilla Chili Salt. I would want to try the Habanero Chili Salt. Would love to try Aji Amarillo Chili Salt. I would like to try the Chipotle Chili Salt. It all looks so amazing. CHEERS awesome fab great giveaway. I would like to try the Pequin Chili Salt. I love being able to add spice to foods without adding liquid! Just about any of these would interest me. The Aji Amarillo chili salt sounds good. I would like to try the Piri Piri Chili Salt.